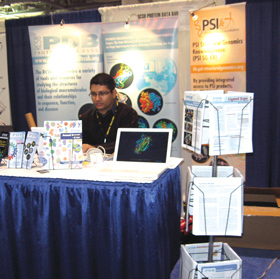 Together with the PSI Structural Genomics Knowledgebase (kb.psi-structuralgenomics.org), the RCSB PDB recently exhibited at the 53rd Annual Meeting of the Biophysical Society (February 28 - March 4) in Boston, Massachusetts. The two groups will also be exhibiting at the Experimental Biology meeting (April 18-22) in New Orleans, Lousiana and at the 17th Annual International Conference on Intelligent Systems for Molecular Biology & 8th European Conference on Computational Biology (June 27-July 2) in Stockholm, Sweden. Please stop by for demonstrations, information, and to say hello! The RCSB PDB will host a short course for practicing pharmaceutical/biophysical modelers looking for a better understanding of crystal structures and PDB data. 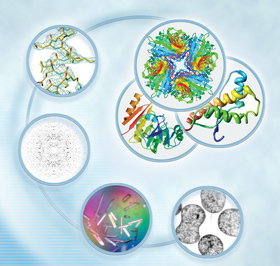 Crystallography for Modelers will be held May 7 & 8 at Rutgers, The State University of New Jersey in Piscataway, NJ. Do you use protein crystal structure data? Ever wonder why things do not work out as you expect? Are ligand strain energies unreasonably high? Does your drug candidate not appear to make the hydrogen bonds you expect? Is that really a water molecule in the corner of a binding site? Do you wonder why a side chain is in one position rather than another? Crystallography for Modelers will offer insight into state-of-the-art research into the quality, errors, and "gotchas" in crystal structure data. Designed by active users of the data, the instructors are RCSB PDB team members, Rutgers researchers, and commercial software developers. It is not an introductory course for crystallography or modeling, but rather a down-and-dirty discussion of crystallographic data, precision, accuracy, and possible errors.